Heat 1 teaspoon of butter in a large pan over medium-high heat. Sprinkle the Italian seasoning and salt and pepper over the chicken. Place the chicken in the pan and cook for 5-6 minutes on each side, or until done. Remove the chicken from the pan and put on a plate. Cover to keep warm. Wipe out the pan with a paper towel. Heat remaining tablespoon of butter over medium-high heat. Add the flour and whisk until the butter and flour are thoroughly incorporated about 1 minute. Add the milk to the pan and cook, stirring constantly until thickened, 3-4 minutes. Add the zucchini noodles to the pan. Cook, stirring occasionally, for 3-4 minutes or until zucchini noodles are just tender. Add salt and pepper to taste. 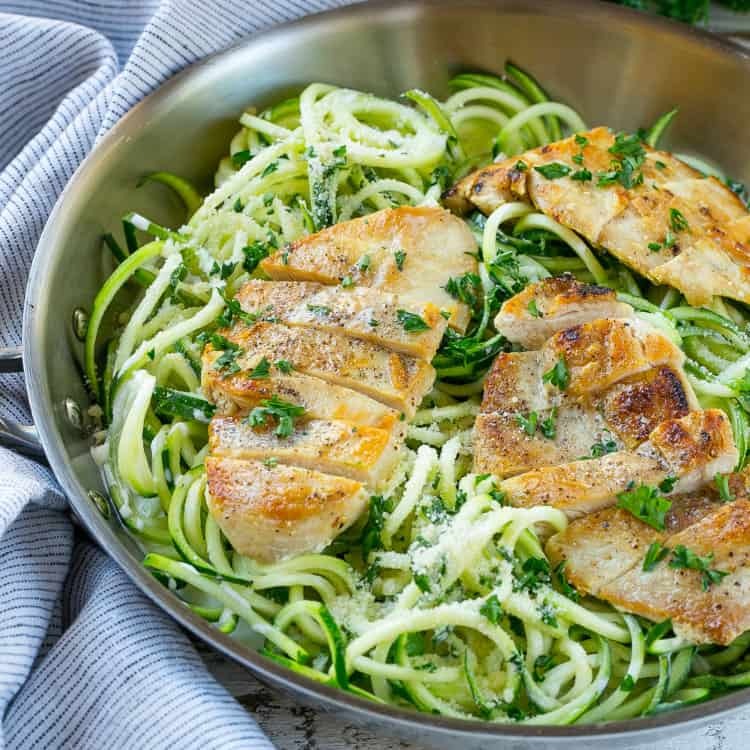 Slice the chicken and arrange it on top of the zucchini noodles. Sprinkle with parsley and serve.